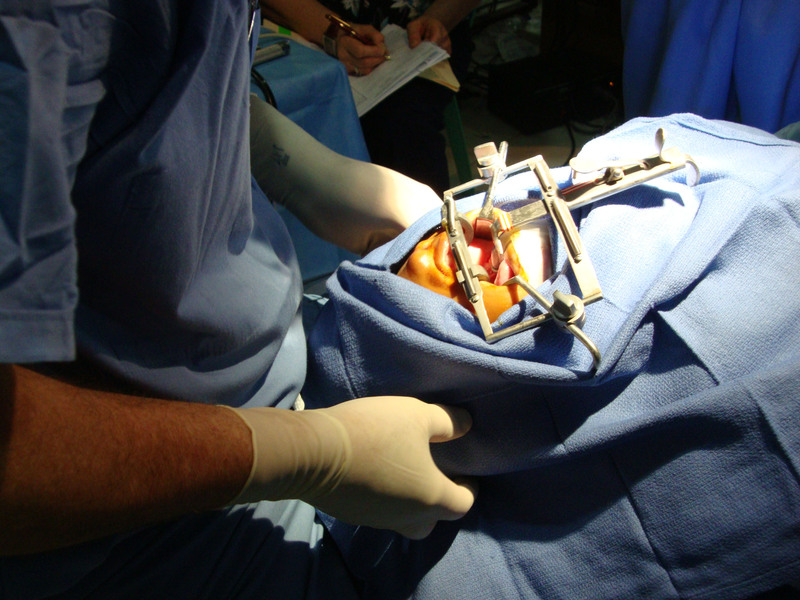 Day number 3 in the OR – we are running like a well oiled machine. There are 4 operating tables running simultaneous each with a team of talented professionals. We also have the help of several Filipino nursing students. They are eager to learn and grateful for the opportunity to scrub in and assist on cases. In reality, we are working our tails off from 8 until 6 or 7pm daily. 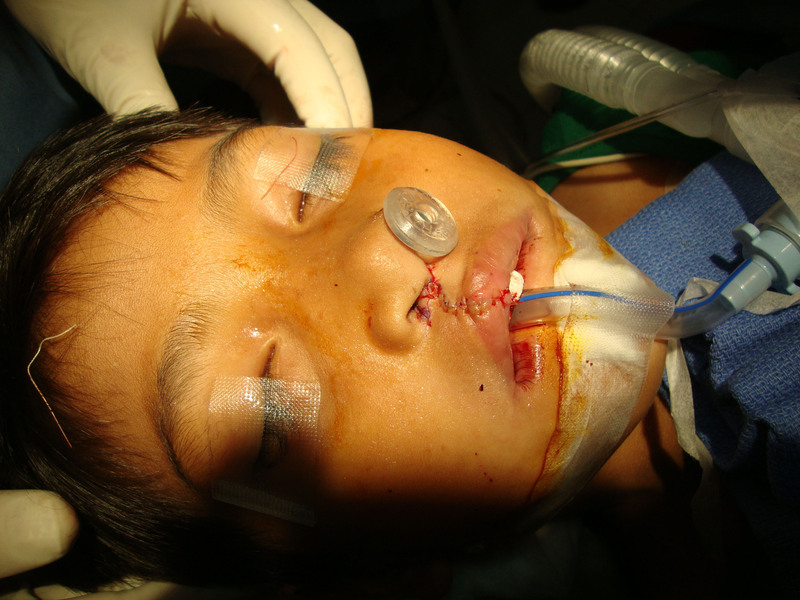 As of Wednesday evening we had finished surgery on 38 patients, specifically we had performed 19 palate repairs and 23 cleft lip repairs. 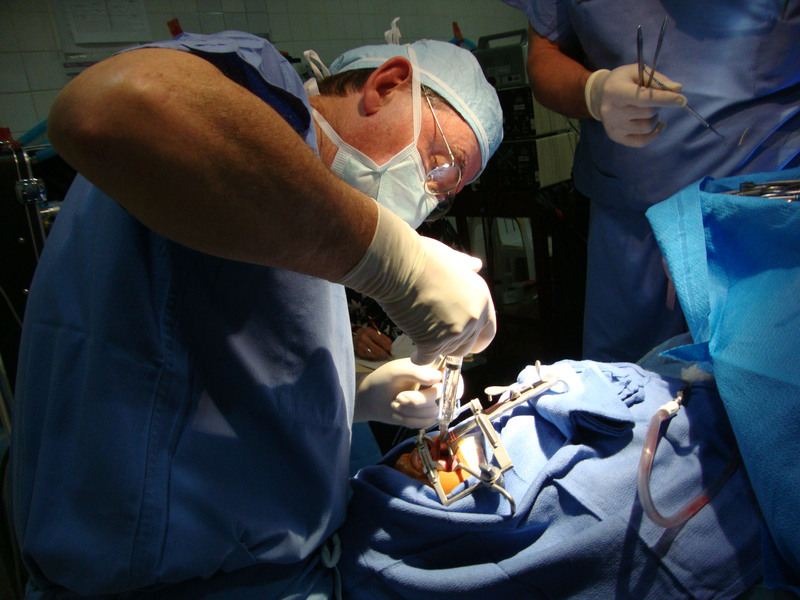 Several dental procedures have also been done; the dental team has worked on 7 patients, pulled about 20 teeth and made one obturator for an older patient with a cleft palate that could not be repaired. Really our feet are tired, our backs ache, and our ankles have grown larger due to all the hours on our feet and humidity and the “eau de parfum” in the OR is strongly reminiscent of bug spray. But at the end of each day, we are joyous, humbled, inspired and wouldn’t have it any other way! P.S. 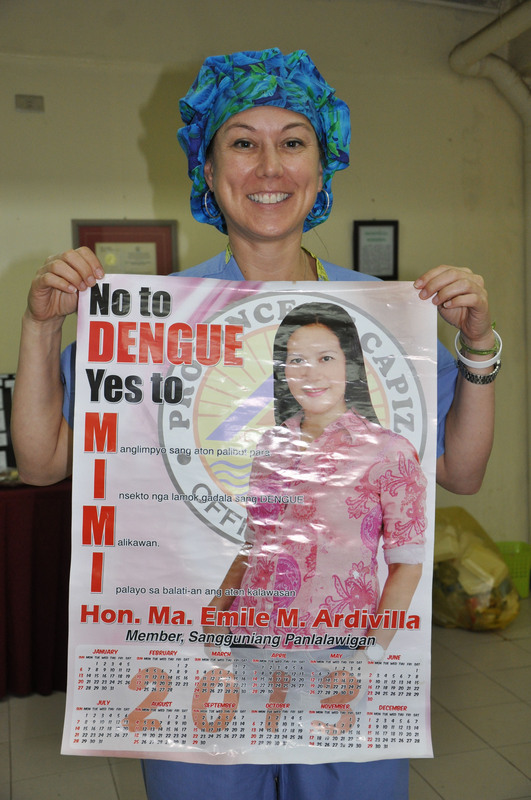 – Our Dr. Mimi Wong was surprised to see her name used on a hospital poster that warns patients against Dengue Fever. Best we can tell, MIMI, is the acronym used to explain the sources of the fever – stagnant water, mosquitoes, etc. Mimi tells us that the poster will have a special place in her home in Denver!